Just a few days after being diagnosed with a brain tumor, I hit a wall. Alas, I have the best napping buddy and partner in crime.. please meet Charlie. See Episode 1 here, and Episode 2 here. Music by Jerry Brunskill, edits by Nick Rosen. ps: yes, I made a puffy paint binder for all my brain info! Hello! 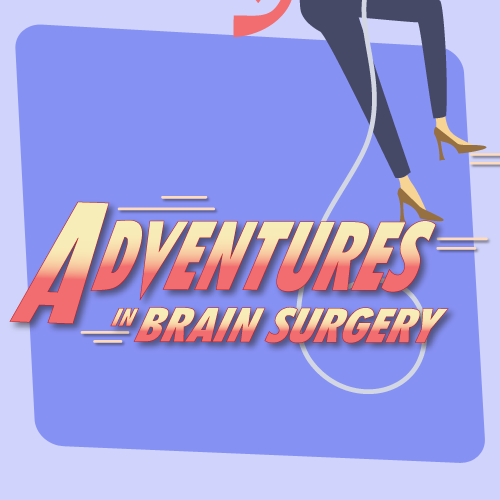 I’m thrilled to announce this new web series… Adventures in Brain Surgery! I seemed to have an unconventional reaction to the news, which may have played a role in the incredible results. Additionally, my news generated a strong response on Facebook. I was both shocked and honored to have people tell me that I inspired them, and changed their outlook on life. Wow. I truly can’t think of a greater gift to come from this strange detour in life. I hope that this series continues to inspire you, lending hope and peace of mind to everyone going through something strange in life. New episodes will post every Tuesday.